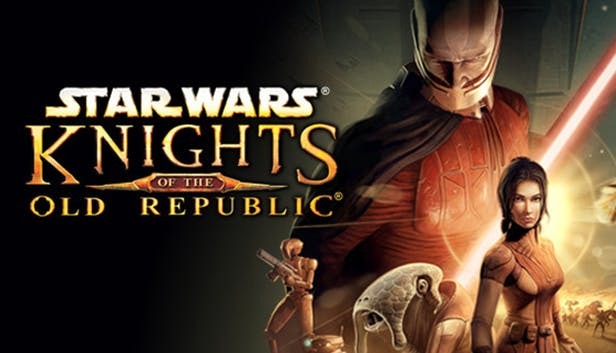 Knights of the Old Republic is probably the most popular Star Wars video game ever made. The action-RPG was released in 2003 and took place thousands of years before the Empire. Fans have been clamoring for some kind of adaptation for years, and every time a new project is announced attention refocuses on it, but now we have confirmation from Lucasfilm's Kathleen Kennedy that something is indeed in the works. Exactly what that is...well, we have no idea and she ain't saying. Okay, that's definitely exciting, although it's probably a good idea to be cautious. Kennedy doesn't state what the project is. It might not be a movie or a TV series, but a graphic novel, maybe an animated short, or maybe a new video game which would be pretty awesome, I think. I don't know about you but the prospect of Star Wars stories far away from the Skywalkers has me interested in this franchise like I haven't been in a long time. Expect Kennedy to get asked about this a lot from now on. She probably should've kept quiet about it.